Luis Miguel performs Friday at Bert Ogden Arena in Edinburg. 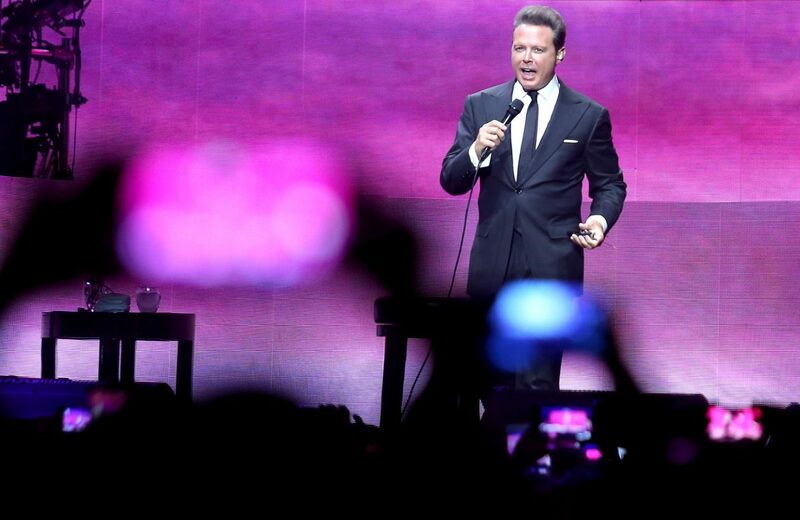 EDINBURG — The sold-out crowd erupted, cellphones in hand, as iconic Mexican singer Luis Miguel took the stage Friday as the first to perform here at the new Bert Ogden Arena. Fans of Luis Miguel filed into the arena to see the Mexican crooner perform in what became the long-awaited 9,000-seat venue’s inaugural show, christening what those associated with the $88 million project have referred to as a “game-changer” for Rio Grande Valley entertainment and sporting events. Miguel last performed in the Valley in 2011 at State Farm Arena in Hidalgo. His Friday evening show at Bert Ogden Arena, however, proved his largest Valley crowd to date. The Edinburg stop is part of the North American leg of Miguel’s ¡México Por Siempre! Tour. “It’s a great show to open up the building with,” said arena CEO Marc Solis. In addition to being a local draw, Miguel attracted international fans, like 23-year-old Kathia Ballesteros from Tamaulipas, Mexico, who came with her two brothers. “He’s the son of Mexico,” Ballesteros said as she added hot sauce to her chicharrones. She’s always wanted to see Miguel in concert, and this was her first opportunity. Earlier, ticket holders bustled through the arena’s surrounding concourse over patches of tile that were relaid just days ago. “Most of the stuff is cosmetic — little touch-ups here and there,” Solis said Wednesday of the work that needed to be done leading up to Miguel’s show.